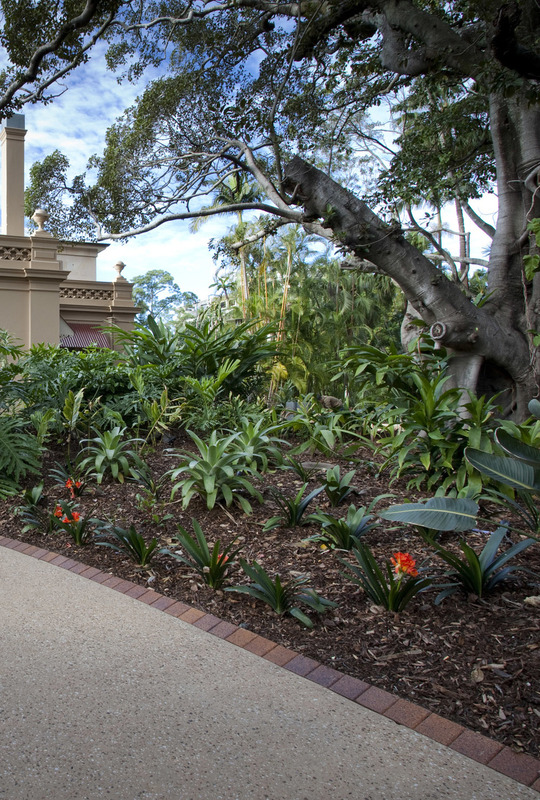 The heritage based project was designed and implemented to preserve and conserve a landscape associated with a culturally important building whilst maintaing its facility for use within the QUT Gardens Point Campus. 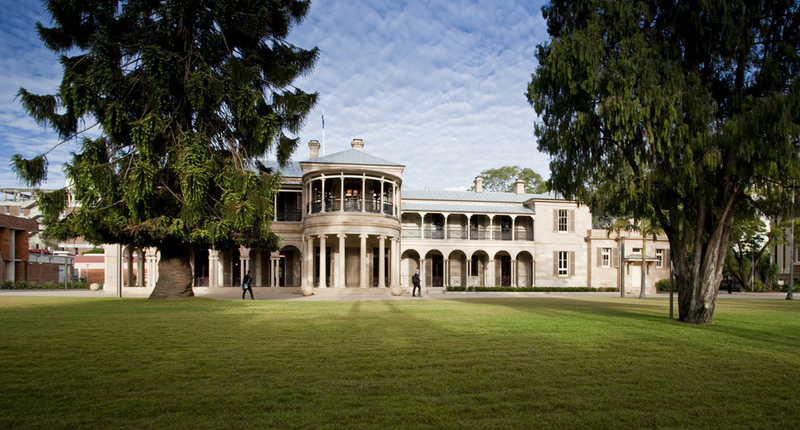 The building now known as Old Government House, designed by the colonial Architect Charles Tiffin, was constructed for the first Governor of Queensland on a ridge overlooking the town reach of the Brisbane River. Originally the grounds of some 30 acres, comprised an area developed around the house terrace which an outer rough pasture known as The Domain. The buildings' presence on the house terrace then and now relies on its settings and in particular its relationship to the ground plane and its surrounding landscape. The primary contribution by Wilson Landscape Architects in the Restoration and Adaptation project, was to remove the accumulated clutter and restore the buildings' presence in the landscape. Further changes to the design of the building and surrounds were undertaken in the subsequent occupations including QUT and others. However in 2005, QUT made an undertaking to restore the building and the area designated within the prescribed Queensland Heritage Register boundaries. The primary consultation by Wilson Landscape Architects in this Restoration and Adaptation project was to remove the accumulated clutter and restore the buildings’ presence in its landscape. AIA 2010 Brisbane Regional Commendation for Heritage Architecture.